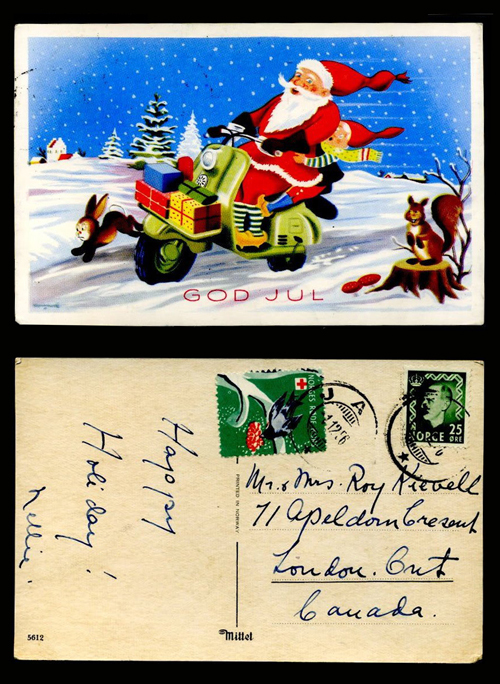 Here’s a vintage 1956 Norwegian postcard just for you. And they just keep coming . . . 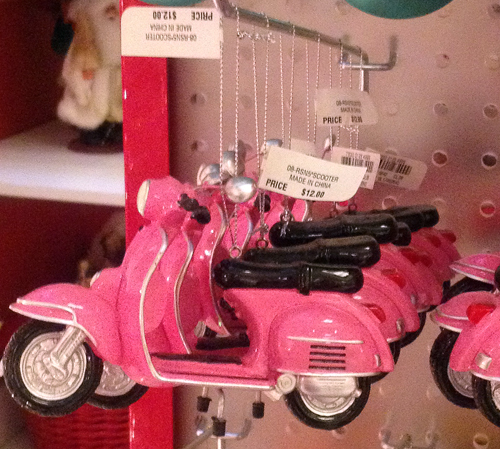 Here we have an adorable bright pink scooter that looks highly detailed and seems like a substantial size based on the other ornaments it was hanging next to in the photo. $12.00 at Macys. Thanks to Tammy D. for this great find and the great photos. 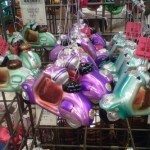 Turns out that 2011 has been a bumper crop of scooter Christmas ornaments. 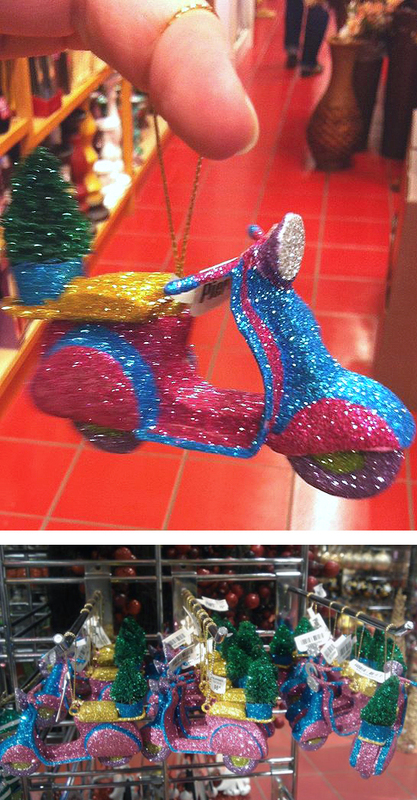 Ornament Week was supposed to be last just that long â€” one week. But they just keep coming. Here’s an adorable sparkler from Pier One Imports. It costs just $5.95 and measures 1.50″W x 5″D x 4″H. 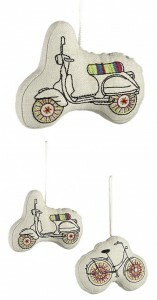 This reminds me a lot of how I used to set up my 1960 Vespa VBA for Christmas. I have a saddle seat and a buddy seat. On the buddy seat I would bungie a little 2.5 foot aluminum Christmas tree. Then on went a string or two of battery-powered LED lights. It took me a couple of years of trial and error to get it all to stay on safely even in winds but it was a glorious sight. Thanks to both Polianarchy and Phaedra for the photos and find. How much for that little doggie on the scooter? $24 since you asked. 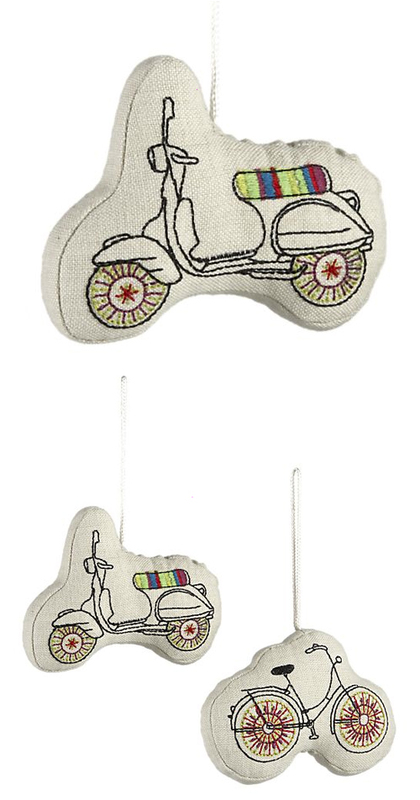 Honestly, some scooterswag can be almost too cute! 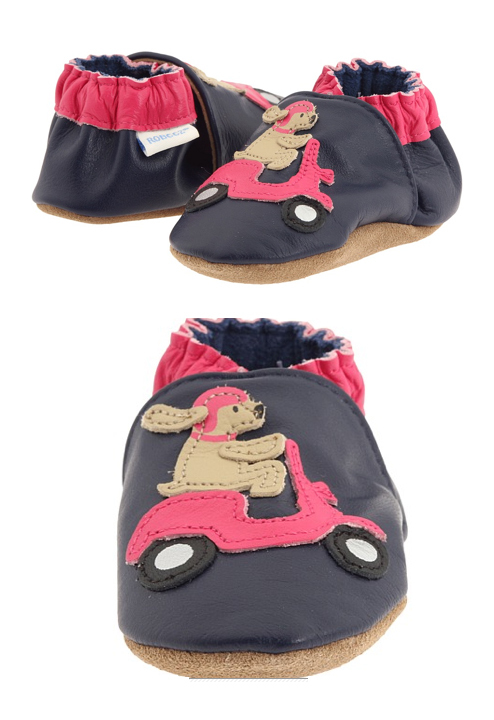 These are Robeez slip-ons for babies and toddlers from 0-24 months. 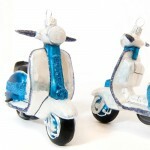 And last but certainly not least, here we have a lovely 2-tone Lambretta that is 4.25″ high and $42.00. 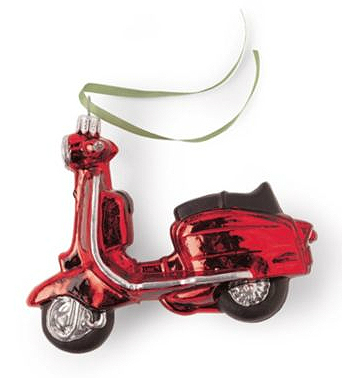 Here’s a gorgeously detailed ornament at a low price of Â£4.99. 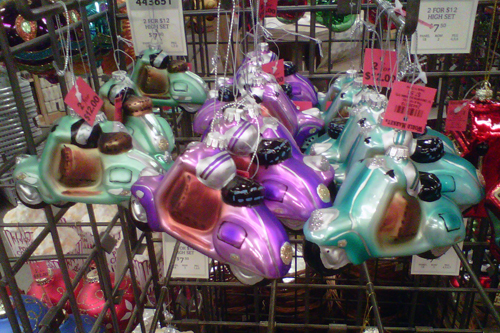 Or if you’re in the States and near a Cost Plus World Market, you can get two for $12 and in three different colors. I am not sure if these are the same as the top photo which looks better painted but I haven’t been to Cost Plus to inspect for myself. Still, SCOOTER ORNAMENTS! Thanks to Aleks H. for the Cost Plus Find and photo! 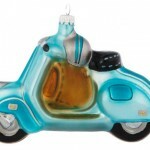 Here’s a very nice Lambretta but it is pretty expensive at $30. Maybe that’s because it’s from the very tony Gumps of San Francisco. Or because it’s mouthblown Polish glass. Or both. 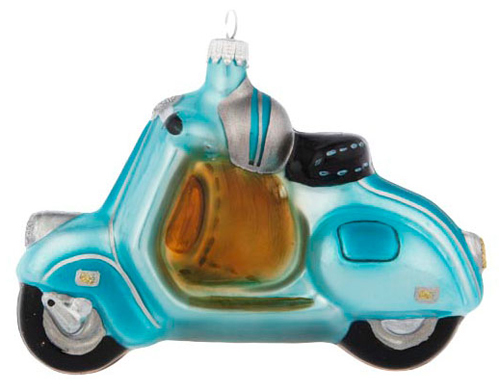 Lambretta Christmas ornaments seem pretty rare so maybe it’s worth it? It measures 5″ long.